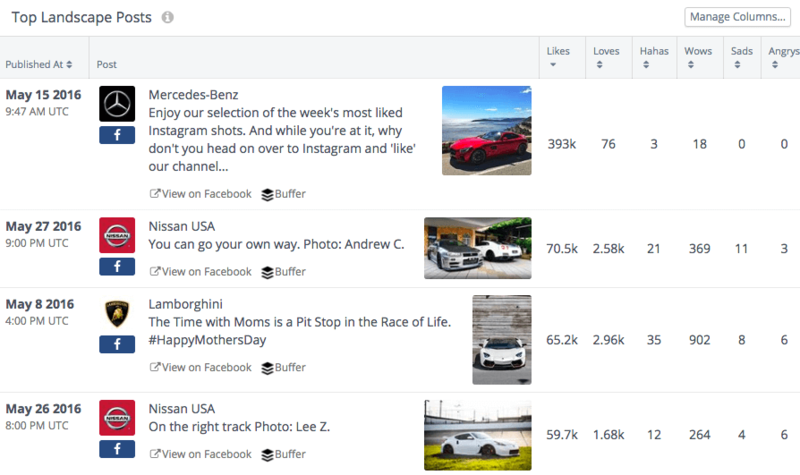 See if you are getting more Facebook love than your competitors! You can now track Facebook Reactions — “Love,” “Haha,” “Wow,” “Sad,” and “Angry” — across your competitive landscape using Rival IQ. While tracking total engagement is important, tracking reactions allows you to see how your content is resonating with your audience. As you know, Facebook recently launched Reactions, an “extension to the like button.” Now users (finally) have the opportunity to express happiness, sadness, anger, or awe towards any post in their news feed. For social media marketers, it is important to have a clear understanding of how your content is performing and what is happening across your competitive landscape. 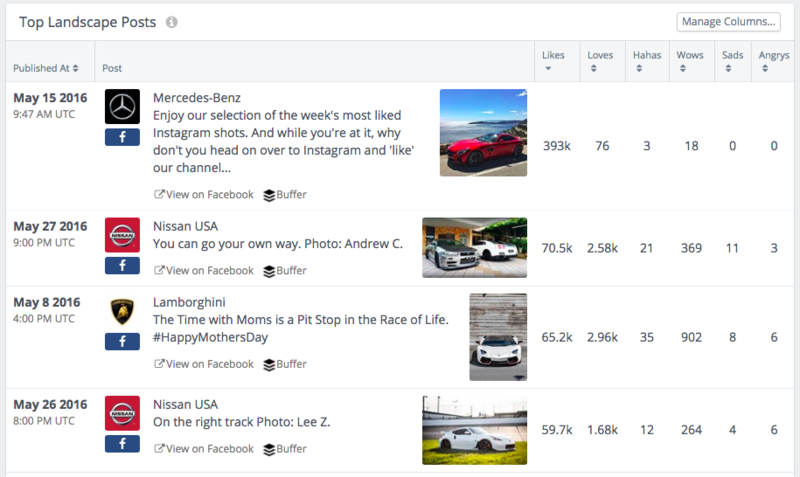 By tracking Reactions in your Rival IQ reports, you can gain more insights on your audience and details around post engagement. Tracking post reactions in Rival IQ is simple. You can measure reactions in aggregate or by type. For example, if you are looking to just measure negative sentiment, you might choose to only view “Sad” and “Angry” reactions. 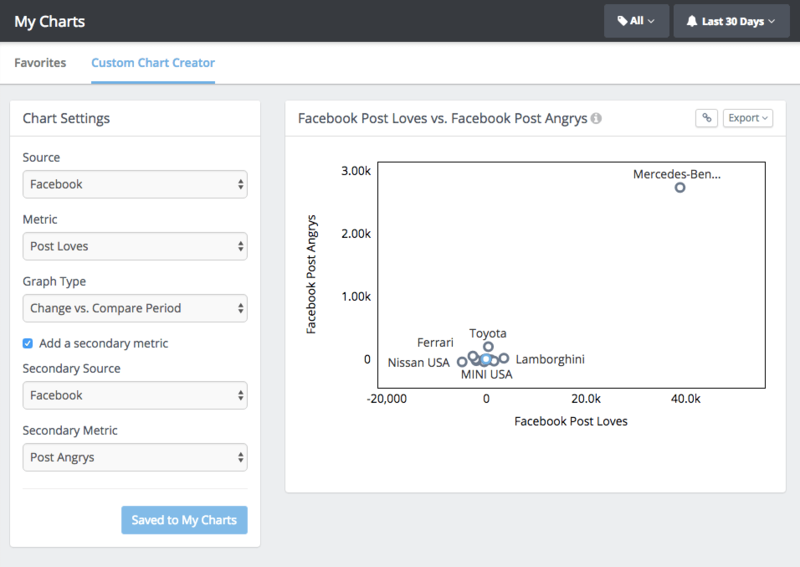 To get started, just go into your Rival IQ account and visit the Facebook Social Posts dashboard. 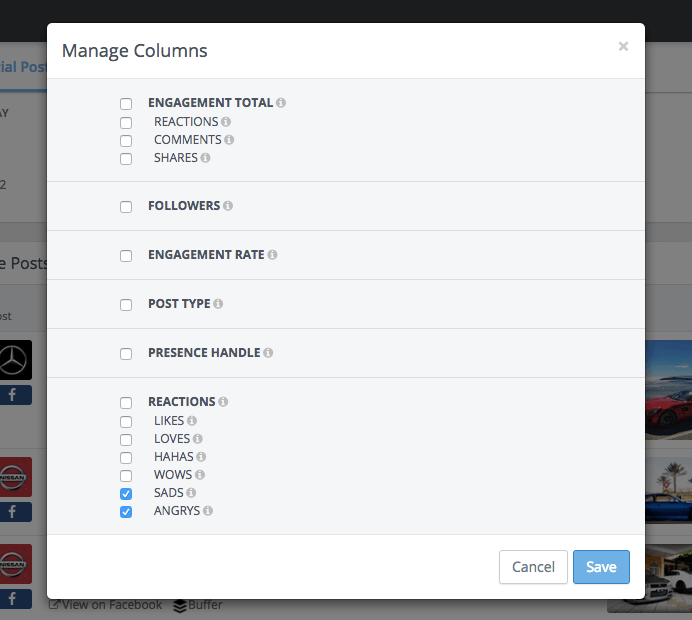 Under Top Landscape Posts, click Manage Columns to pick which reactions you want to track. Want more? Get rollup metrics about Reactions in Detailed Metrics and Custom Chart Creator. Just like any other metric in Rival IQ, you can customize, Favorite and export (or schedule) any Facebook Reactions chart within Rival IQ. Answer all your Facebook engagement questions and stay ahead of the competition with your favorite analytics tool! Not a Rival IQ user? Get started with our 14-day free trial!